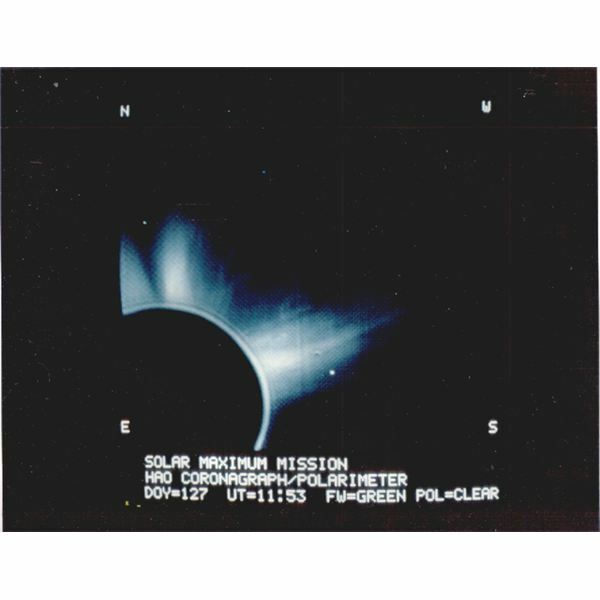 A coronagraph is a special instrument that attaches to a telescope and is used to block the light from stars. This enables one to clearly see surrounding objects that would not be visible otherwise. Scientists, prior to the 1930s, were very interested in studying the corona (surface) of the Sun. They would have to wait for eclipses before they could study the corona. A French astronomer by the name of Bernard Lyot changed all that when he invented the coronagraph in 1939. Traditionally, the coronagraph has been used to study the Sun. 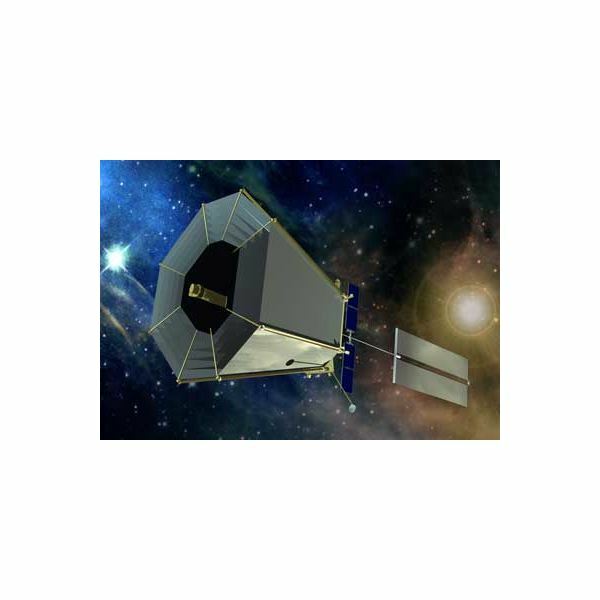 Recent advances in technology have enabled scientists to go a step further where they intend to use a coronagraph to look for extrasolar planets. The various parts of coronagraph include three optical lenses, an image mask and a Lyot stop. 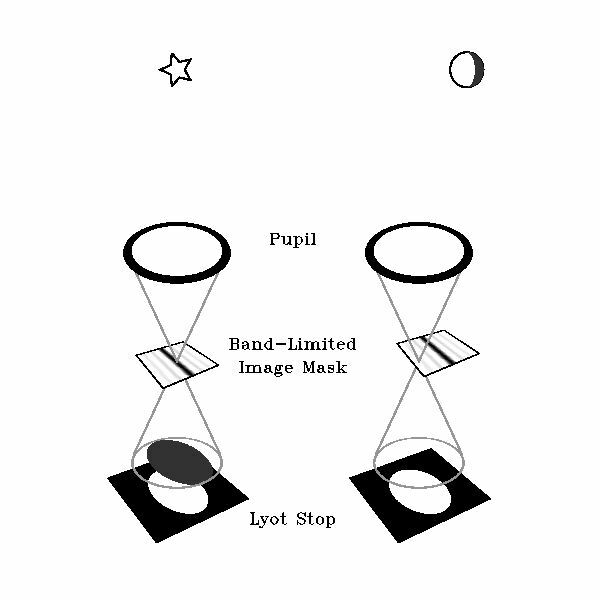 Light enters through the pupil of the telescope and is converged onto the image mask. The pupil is then imaged onto the Lyot stop. Starlight entering the coronagraph is then focused on the center of the image mask, resulting in the starlight being diffracted to the edges of the pupil, where the Lyot stop blocks it. Light from a planet diffracts around a second pupil plane and passes uninterrupted through the Lyot stop. An optical vortex coronagraph can be used to look for and study extrasolar planets. This type of coronagraph has a special mask that is helical in shape. Light is slowed down by the central part of the mask. Due to the shape of the glass, an optical vortex is generated, in essence the light passing by the axis of the mask is nulled from the image, but still allowing light from the surrounding planet to pass through. The use of an optical vortex coronagraph on board the Terrestrial Planet Finder to search for extrasolar planets is a very real possibility. However, the coronagraph will have to be combined with adaptive optics to fulfill its mission. Adaptive optics is essentially a technology that reduces the effect of wavefront distortions, such as optical aberrations. This improves the instrumentation being used, allowing it to get the desired results. Until recently, it was next to impossible for scientists to observe extrasolar planets directly from a telescope. In 2010, NASA was able to show that by using a vector vortex coronagraph attached to even a small telescope, it is possible to directly view extrasolar planets. The future of coronagraphy is bright. Coronagraphs could one day help reveal the numerous alien worlds that lie hidden from us and open a new frontier in space exploration.